Next up in our whiskey cocktails was particularly fun to make – The Ginger Baker. In a shaker glass filled with ice, pour all ingredients and mix well. Strain into an old fashioned glass. 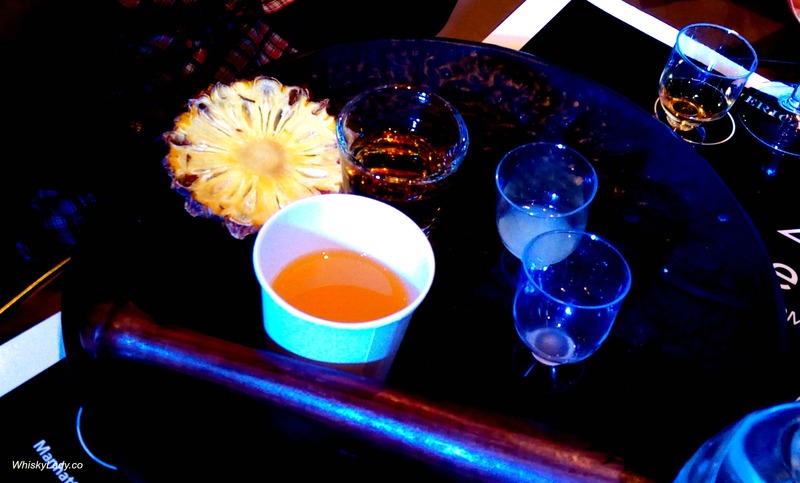 Drop a few spheres of ice, garnish with either the fresh pineapple or dehydrated pineapple & 2 almonds and serve. These all came courtesy of a session with DISCUS in May 2017, Mumbai. 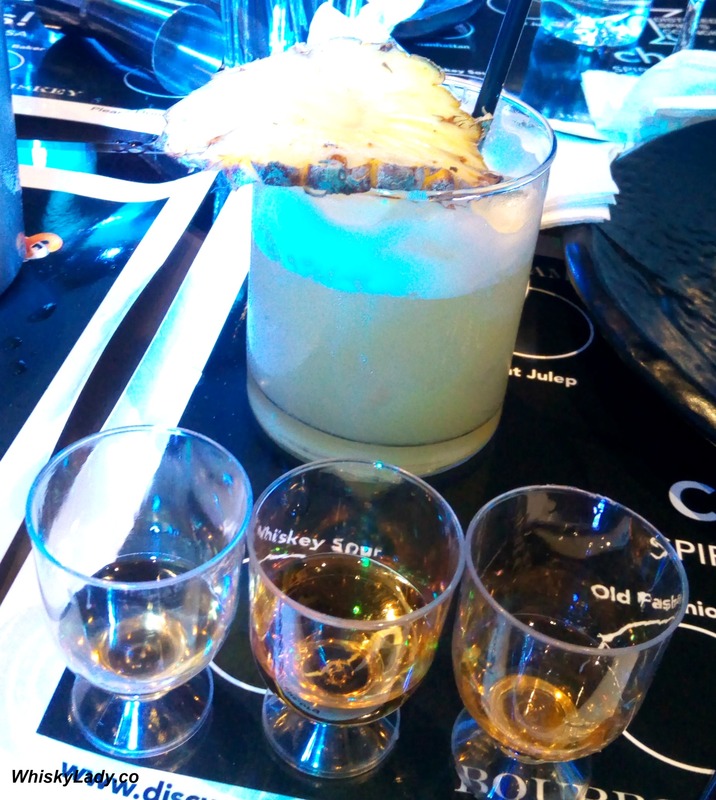 This entry was posted in American, Beyond Scotland, Whisky General and tagged American whiskey, Cocktails, DISCUS, The Ginger Baker, Whiskey cocktails by Carissa Hickling. Bookmark the permalink.